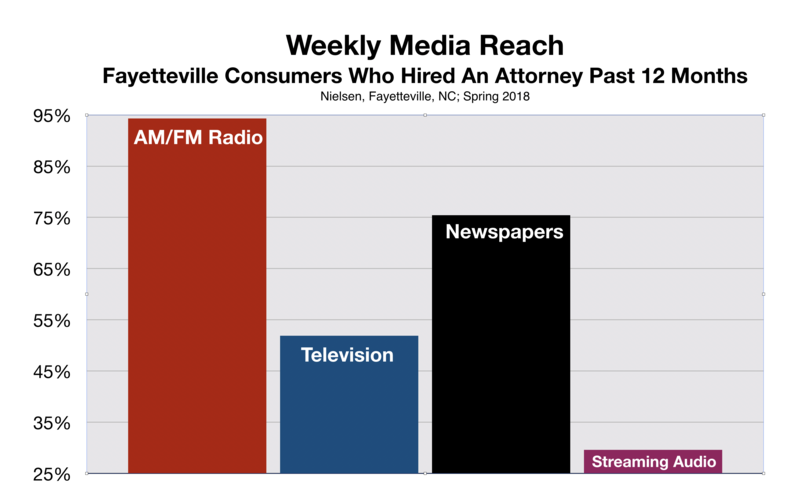 According to Nielsen, advertising on Fayetteville radio reaches 94.3% of consumers who are likely to hire an attorney. This is significantly greater than the number of potential clients who will read a local newspaper, watch local TV, or logon to a streaming audio site like Pandora and Spotify. Here is the most powerful way advertising on Fayetteville radio can help local attorneys attract new clients. 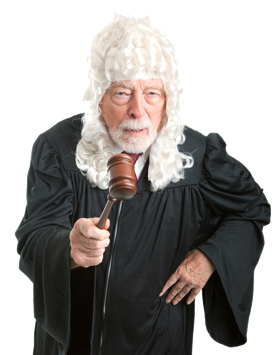 According to a survey by FindLaw.com, 59% of consumers with a legal need will engage an attorney within one week. The survey also indicates that clients will only consult only one attorney. Most importantly, 60% of legal consumers will find their attorney via internet search. Unfortunately, a Google search will deliver more than 9000 results. Ergo, (legal speak for therefore), the best chance an attorney has to gain a new client is to compel the prospect to visit the firm's website. 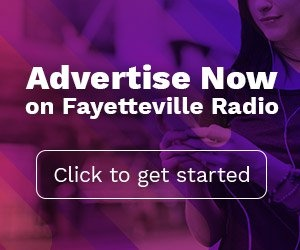 A new study by Analytic Owl, an advertising attribution company, indicates that advertising on Fayetteville radio is a potent way to bring potential clients to an attorney's website. The study shows, beyond a shadow of a doubt, radio advertising increases visits to lawyers' websites by 5%. This is a huge advantage given the fact that the majority of clients will only consider a single attorney. The Analytic Owl study also reveals that for attorneys whose objective is to drive prospective clients to their website, it is critical to advertise on Fayetteville during all times of day. 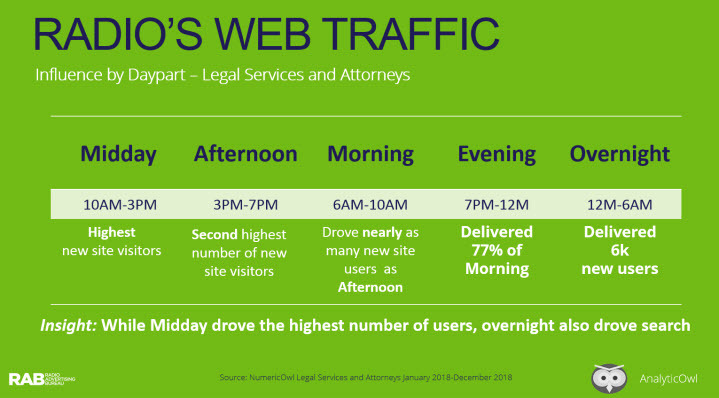 Predictably, radio advertising had the greatest effect on visits to attorneys websites between 6:00am and 8:00pm. That is, after all, radio's prime time. The study also concluded, however, that advertising during the evening and overnight hours also created significant traffic lift for attorneys' websites. 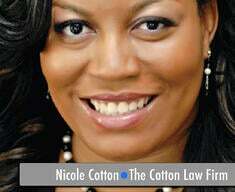 Attorney Nicole Cotton can speak first hand how advertising on Fayetteville radio contributed to her firm's success.